Long known as the most popular content management system in the world, WordPress is used to run roughly one in three of all websites globally. Its easy-to-use interface and universally adaptable design make it a common favorite of businesses and brands that truly want to customize their users’ and visitors’ experiences. Not only can WordPress be a great solution for showcasing products and designing beautiful websites, but it can be an excellent ally in the fight for stronger content marketing strategies. Today, we’ll discuss what WordPress can give your brand in terms of boosts to your content marketing efforts. One of the biggest reasons why we create content in the first place is for it to generate conversions of some sort. Whether that results in someone signing up for an email list or buying a product, the goal is one and the same: get the visitor to engage in a specific action. WordPress is so flexible that it becomes possible to integrate any call to action or function imaginable into its interface. With plugins for just about anything you can dream of, you’ll be able to seamlessly integrate various forms of content – shopping carts, landing pages, blog posts and more – with your calls to action. By pinging your website with these conversion points, you’ll be more likely to grow in terms of sales and subscribers. Another big benefit of using WordPress is its natural tendency to make sharing easy. Not only does Vanilla WordPress come with a variety of social sharing widgets, but there are many plugins that can be used to amplify its power. Whether you’d like someone to be able to share a page, a blurb or a product, there is functionality for all of it – and then some. Since social media is rapidly becoming one of the main drivers of traffic for most websites, you don’t want to deal with a content management solution that doesn’t provide seamless social integration. With WordPress, all of the hard work is already done for you! There are so many plugins available for WordPress, but what about plugins to monitor how well your other plugins are performing? Having a comprehensive, in-house analytics solution is increasingly valuable and desirable for many brands, and thankfully WordPress can accommodate. You’ll be able to track how many visitors, clicks, page views, conversions and any other metric imaginable with a combination of plugins and built-in analytics functionality. After all, nominal improvement when it comes to traffic or views is only so valuable if you don’t know that you’re improving. With analytics solutions, you can then take that data pinging your website and put it to good use. 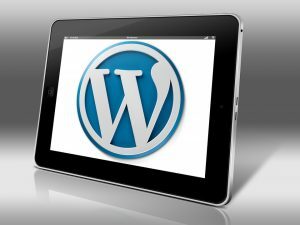 WordPress’ popularity has made it a solid choice for anybody seeking to customize their website. For content marketers specifically, its wide range of plugins and solid features help them to improve the publication, sharing and overall marketing of content across every medium. If you’ve used WordPress before, what are some of its other features that you enjoy? Leave us a comment below and let us know. « What Should You Consider When Designing a Logo? Incredible advantages of WordPress you shared here, it helpful for content marketers to promote their brand.